The Sydney Bears are excited to announce the signing of forward, Ryan Lough! The Ontario native has spent the last four years playing NCAA hockey at St. Lawrence University. In his senior year, Lough was named Assistant Captain and had an impressive 14 points in 37 games. Lough finished the season by being signed to finish the year in the ECHL with Manchester Monarchs where he scored on debut. Prior to beginning his NCAA career Lough spent a season in the USHL where he captained the Green Bay Gamblers and two seasons in the BCHL where in his second season captained the Alberni Valley Bulldogs. Bears fans can expect a quick skater and impressive puck control from Lough whose playmaking ability is going to be crucial in the high scoring AIHL. “I've always wanted to travel to Australia and to play hockey while doing it is like a dream come true. Get ready Bears fans! This season is shaping up to be just as exciting as last season. 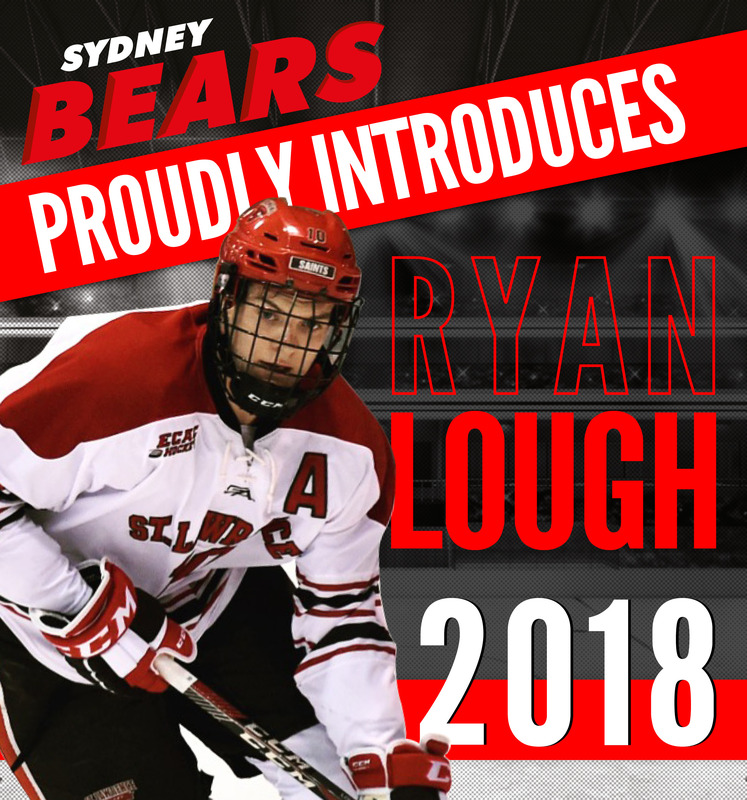 Make sure you have your tickets to see Ryan Lough in action along with the rest of your favourite Sydney Bears when the puck drops at our first home game on Sunday 6th May @ Macquarie Ice Rink.